Wicked flew into Glasgow last night for its Scottish premiere bringing with it 13 trucks of set, costumes and kit. An incredible fit out has transformed the theatre into the wonderful world of Oz in order to tell the fantastic untold story of the witches of Oz. With over 53,000 tickets sold before the curtain went up on opening night, Wicked has broken all box office records at the King's Theatre to become the highest grossing show in its history as well as probably the biggest show to have ever squeezed onto its stage. What it lacks in size, compared to its sibling on the West End, Wicked on tour more than makes up for in the quality of the cast and overall production. Every signature moment from the musical has been translated beautifully and carefully resized for the more compact touring stage. Touring productions can sometimes be accused of being a poor relation of their original versions but there are no compromises here. Wicked raises the bar again and shows there's no need to compromise on quality for a touring production. 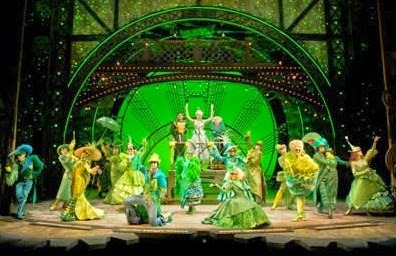 The opulent Emerald City glitters as brightly as ever here. None of the show's magic and wonder has been lost and, while a few shortcuts may be spotted by those who know the show well, it is as spellbinding as ever. The captivating cast is led by Nikki Davis-Jones as Elphaba and Emily Tierney as Glinda. Davis-Jones exquisitely captures the social awkwardness and self-effacing personality of Elphaba while Tierney complements her beautifully with her belle of the ball Glinda. Davis-Jones left the audience gaping in the seats after Defying Gravity and her emotional No Good Deed left the audience in no doubt of Elphaba's pain. Both actresses portray the emotional journey of the girls beautifully culminating in a credible and heartfelt rendition of For Good. Glasgow's own George Ure is superb as put upon, lovesick munchkin Boq while Dale Ripley brings real personality to the Wizard, a role that is often too caricature in style. With the finale ringing in their ears, the audience leapt to their feet from the stalls to the gods showing their appreciation of the cast with a noisy standing ovation. It's clear that Wicked has the city of Glasgow under its spell. 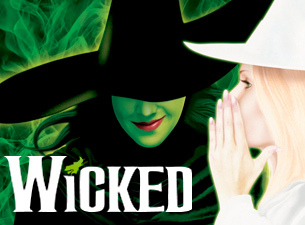 Wicked is at the King's Theatre, Glasgow until 31st May. Tickets are rarer than flying monkeys and available by return only.